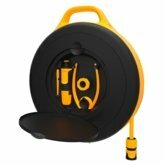 All the parts are compatible with most other watering brands' products. The largest waterwheel in our watering range has everything you need for easy watering in big gardens, patios and terraces. Its handy accessory storage locker in the wheel is equipped with an adjustable nozzle spary gun, a multi-threaded tap connector and a useful spayer support – all you need to get started. 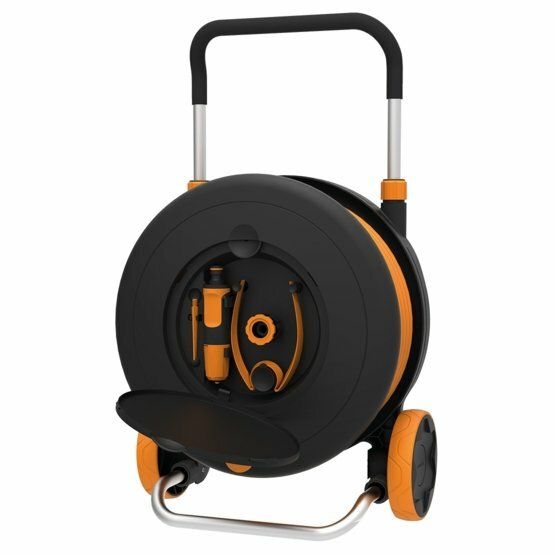 What's more, the wheel comes with convenient reel cart making it easy to move around, and it's trouble-free to roll-out and coil-in the hose. Combine this with its stylish design and you'll have a excellent all-inclusive package that you don't need to hide.